Here is an article I have written for http://thezieglersblog.com, a blog (that is closed now) about the experiences of immigrants to Canada. In brief, if you want to look like a Vancouver girl, wear a colorful T-shirt, shorts, flip-flops, nail polish of your favourite color on your toenails and a large smile. 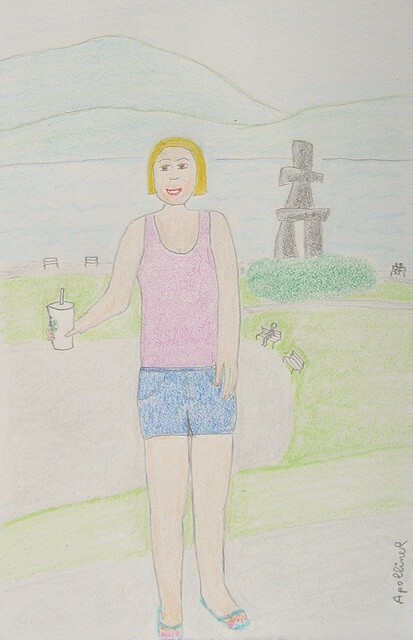 Also hold a cup of ice coffee while walking on the Seawall and admiring the scenery.